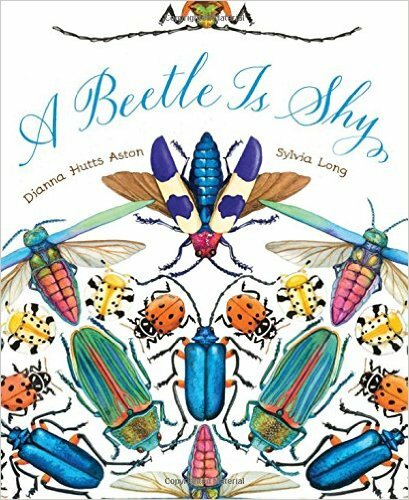 Beetles may not be your favorite critter but Dianna Hutts Aston’s book, A Beetle Is Shy, certainly will help you look at them differently. The book is full of fascinating facts about a myriad of beetles from the familiar lady bug to huge titan beetle all portrayed in vivid watercolor illustrations. 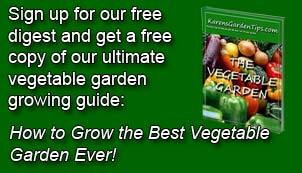 Written for children ages five to eight, the book can be enjoyed when read to an individual or a group. The front pages introduce the subject with pictures of twenty eight different beetles that highlight how attractive and interesting they can be. The same pictures appear in the end pages but with all the beetles bearing their name. In between the pages tell about these beetles and their unique qualities. The author begins with the title statement, “A beetle is shy”, and shows an egg case of a spotted tortoise beetle in the curl of a leaf. The following two pages follow the life cycle of a beetle showing instars and pupas. The author continues with other broad statements about beetles plus additional information to extend the content. We learn that beetles may be iridescent, have mouth parts strong enough to snap a pencil, or be small enough to pass through the eye of a needle. Some beetles hop while others dig, run, or swim. Most beetles communicate by pheromones but fireflies use bioluminescence. To protect themselves, beetles may use camouflage, toxins, or mimic others. They were on the earth with dinosaurs and can be found in amber. Some people actually like to eat beetles and if you are interested try Indian stag beetle chutney, Thai wok-fried dung beetle, or Australian roasted longhorn beetle larvae. Yum! Such a great book! It opens your eyes to a group of citters that you may never have given much thought. You might not want to try the culinary offerings but certainly you will look at beetles in a new way after reading this book, and so will the children that you share it with. When I got to the end I wanted to learn more about the beetles described but alas, there was no additional end information. Too bad. To buy A Beetle is Shy from Amazon.com Click Here.